Robi is truly a people-oriented brand of Bangladesh. Robi, the people’s champion, is there for the people of Bangladesh, where they want and the way they want. Having the local tradition at its core Robi marches ahead with innovation and creativity. The company today commands more CSR activities than all its competitors’ in the mobile telephone industry combined. To take the company to its current position, the CSR activities of the company have to be an efficient and an organized one. Therefore, it is imperative that the awareness level of CSR activities of the company must be well known and efficiently delivered so that they can win over its competitors to attract new customers and at the same time to do for the betterment of the society. As robi has been rebranded itself a few months back so it is very significant and important to get involve large number Corporate Social Responsibilities activities to establish among the general people. So in this report I tried to find out the awareness level, media coverage, obstacles and its solution for the CSR activities of Robi. There is no available information about the awareness level of the CSR activities and program of Robi. As a result, Robi wants to get an idea about the prevailing perception of its customers, distributors, dealers, stakeholders and outlets about itself. The main objective of the survey was to find out the awareness level of the stakeholders and general people. Another objective included determining the obstacles’ that these initiative faced and also to find out what kind of amendments could be made to improve the Robi CSR activities from the respondent’s point of view. Find out the level of awareness regarding the CSR activities. Find out the level of communication that Robi use to do for this regards. Find out the level of awareness regarding the Robi brand itself. Figure out the obstacles that Robi use to face during implementing new CSR plan and its probable solutions. 1.1 To find the level of awareness of the Health camp initiative taken by Robi for the underprivileged women. 1.2 An indication on which types of services they want to get. 1.3 To find the level of satisfaction of the CSR agency regarding the commission from Robi logistics. 1.4 To find the level of awareness of the Computer corner initiative this is held around the Bangladesh. 1.5 To get an insight on the time taken for activation and any problems faced regarding activation of CSR program. 1.6 To find the level of satisfaction of the region personnel regarding the reporting method that needs to be done. 1.7 To find the level of awareness of the dealers and agents regarding the flow of information from Robi to Region/Agency and their subsequent comments on information support towards them. ii. Knowledge about the CSR program. 1.9 To find the level of awareness regarding the Konthe O Tulite Bangladesh contest. 1.11 To find the potential areas for Robi CSR programs and areas where improvement is required. 1.12 To find the level of knowledge/awareness of the others CSR activities of Robi. The internship program is designed to give the BBA students a convenient point of reference where they can apply their theoretical knowledge. As professional degree holders under the School of Business, BBA students are the future managers of organizations. A BBA graduate student also requires that they get exposure to International Management & Marketing aspects. In this connection I have chosen a multinational company for my internship program, which is one of the leading telecom companies of Bangladesh. I consider myself very lucky to work in the large company where I got the exposure to international-level standards of marketing management activities in a highly competitive and dynamic business environment. The research is based on both quantitative and qualitative study. The qualitative aspect of the report will include a description of the major communication problems faced by the CSR personnel/Agency of Robi. This section will try to cover major awareness obstacles’ that are faced and how they are dealt with or if it is possible to deal with them. This section will also try to find whether there is any relationship between the major problems received and the location of the program. This section will further address certain recommendations provided by the general people and agency and their impact on the improvement of performance of Robi. The level of awareness of the general people on Robi’s Corporate Social Responsibility program as well as Robi’s overall system has been covered by the questionnaire. In this questionnaire, awareness level of the root level people has been quantified. As mentioned earlier a questionnaire has been used for the quantitative analysis part. The questionnaire was then followed-up by another direct interview and telephone calls to judge the level of knowledge of the CSR experts and professionals about Robi. General people or top management employees who are listed with the Robi records. The main rationale behind taking this population is that members belonging to the above-mentioned section will be able to give the exact picture of the situation that exists between them and Robi. Being the owners and top management employees, they will be able to provide more accurate details and provide a broader perspective than would have been available from any other employee. Sample units in this research are top management of the region. Here top management is defined as those individuals in the different region who are in the major decision-making body of particular areas. Under this definition comes the Owners, Managing Directors, Executive Directors, Sales & Marketing Managers, etc. Participants of Robi Konthe O Tulite Bangladesh. Agency of Robi CSR program. The total number of activation CSR projects in Bangladesh is over 50. Owing to time constraints and unavailability of concerned persons it was not possible to survey all divisions. Thus a total sample size of 50 respondents was taken and the report is based on the findings from this sample size. It should also be mentioned that the survey did not take into account the newly launched program which was distributing Braille paper and white can among the visually impaired people. For this study area cluster sampling have used. This is a special form of cluster sampling in which the sample items are clustered on a demographical basis. The technique here is to first select a sample of demographic areas, then studying the particular universe units associated with the selected sample of geographic areas. They are the service holders, day laborers, students and other profession. They are the top management people with expertise in CSR. Monthly media coverage from Newspaper and television. Knowledge and awareness of Robi products and services. Satisfaction level of agency regarding Robi CSR events. Respondent as an Error: This kind of error results due to both non-response as well as inaccurate perception with regard to a specific concept or construct of a questionnaire. In this research, at times the respondents were reluctant to provide extreme positive or negative views and preferred to reside in the neutral area. This error of neutrality was somewhat checked as most of the scales were in four-point scale. In addition to this, there have been some cases where there were respondents who claimed that they knew a lot about Robi; but during the course of the interview this proved to be wrong. The respondent’s views then tend to be misleading. One of the primary limitations of this research was that the sampling unit was business entities not individuals. Among the business entities, top management-namely directors, managing directors, were some of the respondents. These individuals tend to be very busy persons and doing a research on such respondents does possess certain limitations. The business units were not willing to share information on certain cases e.g. commission and buffer. Axiata (Bangladesh) Limited is a dynamic and leading countrywide GSM communication solution provider. It is a joint venture company between Axiata Group Berhad, Malaysia and NTT DOCOMO INC, Japan. Axiata (Bangladesh) Limited, formerly known as Telekom Malaysia International (Bangladesh), commenced its operation in 1997 under the brand name ROBI among the pioneer GSM mobile telecommunications service providers in Bangladesh. Later, on 28th March, 2010 the company started its new journey with the brand name Robi. Robi is truly a people-oriented brand of Bangladesh. Robi, the people’s champion, is there for the people of Bangladesh, where they want and the way they want. Having the local tradition at its core Robi marches ahead with innovation and creativity. 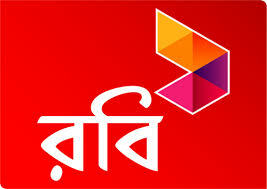 Axiata (Bangladesh) Ltd has rebranded itself with a new look by introducing Robi, the new brand name for the company. Robi was introduced through a mega-event on 28th March to mark the launching of its new brand name and logo at more than 70 spots across the. Thousands of people saw the first-ever twenty-four hour program, titled Bangladesh Fair, in Suhrawardi Uddyan. Axiata is now aiming to localize all of its branding. The word Robi has been chosen as it carries a range of meanings representing the emotional and cultural bonds of Bangladeshis Robi is the symbol of harvest that brings satisfying smiles on the faces of the farmers. Robi, meaning the sun, is the source of energy that vitalizes agriculture, weather and life everywhere. Moreover the word Robi is also familiar to all Bangla-speaking people, as it is the Bengali name of their pride poet Rabindranath Tagore. Robi launched its journey with two notable social welfare activities that renews its commitment of contributing towards uplift of the society. With its strengths and competencies developed over the years, Robi aims to provide the best quality service experience in terms of coverage and connectivity to its customers all over Bangladesh. Together with its unique ability to develop local insights, Robi creates distinct services with local flavor to remain close to the hearts of its customers. AxB attained its first million customer base in 2004, followed by 5 million in 2006 and 10 million in 2009. Covering all 64 districts of the country, AxB was the first mobile operator to connect Tetulia and Teknaf, the northern and southern most points of Bangladesh. It was also the first operator to provide seamless coverage along the Dhaka-Chittagong highway. With its strengths and competencies developed with experience, AxB aims to provide the best, in terms of coverage and connectivity to its customers all over Bangladesh. Empowering You We are there for you, where you want and in the way you want, in order to help you develop, grow and make the most of your lives through our services. Passionate: They passionate – it’s in all of them. Whether visible or hidden within for whatever reason. If hidden, Robi collective challenge is to bring this out and make it productive for yourselves and the business. Everything they do is about doing the best they can. They are warm and approachable at every level whether that is internally or externally with our customers, partners and various stakeholders. Theyare there for each other and they endeavor to help in every way they can. Creative: Everything they do they should do in a creative innovative manner. If they don’t think things through in a well-structured creative manner, they are not doing our jobs properly. They bring energy to our work. Their communications demonstrates our creative flair. We provide creative and imaginative products and services to our customers. They are open to new ideas, no matter how silly they may sound to begin with. Respectful: They are truly respectful to each other. Their subordinates, peers, partners and customers. They treat everyone equally and we allow people to express their thoughts and opinions in a respectful manner. They don’t speak down to each other. They listen to what each has to say without interruption or judgment. They try and understand each other’s opinions. Like their brand personality and brand tone of voice, they speak with respect and warmth to everyone, are non patronizing or authoritative. Open: They have no hidden agendas. They share information freely. We can only be open with our customers, partners and stakeholders if they are open with ourselves – regardless of hierarchy. They are easy to relate to, they are driven. Simple: Everything they do and say should be simple and easy to understand. If they don’t understand it, their customers and stakeholders won’t. In terms of communications they make sure the messaging is in plain, simple language. Their plans are simple and uncomplicated. Internally, they approach things in a plain, simple manner – even if the subject matter is complex. They ensure everyone clearly understands what is expected of them. They take the most complex issues and make them simple to understand. Ethical: For this, there are several key words/actions that they must adhere to individually as well as collectively: they are moral, upright, honest, righteous, virtuous, honorable, keeping our promises in all they say and do. If they see something or someone is out of order or not in alignment with their brand purpose, they speak out, without the feeling of being threatened. In summary, the words speak for themselves. They clearly align to our internal and organizational code of ethics and code of honor (detailed later in this document). They will oppose all forms of corruption. Transparent: A few key words and phrases sum this up: Honesty. Openness. Frankness. No lies. No deceit. No games. Easily understood. They are transparent with their customers, with each other, with their subordinates and peers. No hidden agendas. Ownership: Whilst working individually or collectively, they clearly demonstrate individual and collective ownership. Making mistakes is clearly part of daily business as it is part of daily life – as long as they own up to this early. It is better to attempt to reach a solution than it is to abrogate any responsibility or, when working in a team, to blame others when things don’t work out effectively. They speak well of their successes, and speak freely, without fear, of our non-successes. No culture of fear. Axiata is an emerging leader in Asian telecommunications with significant presence in Malaysia, Indonesia, Sri Lanka, Bangladesh and Cambodia. In addition, the Malaysian grown holding company has strategic mobile and non-mobile telecommunications operations and investments in India, Singapore, Iran, Pakistan and Thailand. Axiata Group Berhad, including its subsidiaries and associates, has approximately 50 million mobile subscribers in Asia, and is listed on Malaysia’s stock exchange (Bursa Malaysia). NTT DOCOMO INC. is the world’s leading mobile communications company and the largest mobile communications company in Japan.DOCOMO serves over 53 million customers, including 44 million people subscribing to FOMA™, launched as the world’s first 3G mobile service based on W-CDMA in 2001. DOCOMO also offers a wide variety of leading edge mobile multimedia services, including i-mode™, the world’s most popular mobile e-mail/Internet service, used by 48 million people. With the addition of credit-card and other e-wallet functions, DOCOMO mobile phones have become highly versatile tools for daily life. With cutting edge technology and innovative services, DOCOMO is fast becoming a preferred lifestyle choice, continuously expanding its role in its users’ lives, growing globally throughout Asia, Europe and North America. NTT DOCOMO INC is listed on the Tokyo (9437), London (NDCM) and New York (DCM) stock exchanges. Robi has been conferred the prestigious Frost & Sullivan Asia Pacific ICT Award 2010 for “Emerging Market Service Provider of the Year”. Awarded the prestigious fund grant from GSMA MMU (Mobile Money for the Unbanked) in 2009. Crossing 10 million subscribers mark in 2009. Ranked within top 6 global comparable telcos in A.T. Kearney benchmarking exercise in 2009. Cost optimization project saved 2 times of what was projected. The Weekly Financial Mirror –Samsung Mobile & Robintex Business Award 2008-2009 as the best Telecommunication company. TeleLink Telecommunication Award 2007 TeleLink Telecommunication Award 2007″ for its excellence in service, corporate social responsibilities and dealership management for the year 2006 in commemoration of WORLD Telecommunication Day 2007. Arthakantha Business Award Given by the national fortnightly business magazine of Bangladesh for its excellence in service in telecom sector. Corporate social responsibility (CSR), also known as corporate responsibility, corporate citizenship, responsible business, sustainable responsible business (SRB), or corporate social performance, is a form of corporate self-regulation integrated into a business model. Ideally, CSR policy would function as a built-in, self-regulating mechanism whereby business would monitor and ensure its support to law, ethical standards, and international norms. Consequently, business would embrace responsibility for the impact of its activities on the environment, consumers, employees, communities, stakeholders and all other members of the public sphere. Furthermore, CSR-focused businesses would proactively promote the public interest by encouraging community growth and development, and voluntarily eliminating practices that harm the public sphere, regardless of legality. Essentially, CSR is the deliberate inclusion of public interest into corporate decision-making, and the honoring of a triple bottom line: People, Planet, and Profit. Business ethics can be both a normative and a descriptive discipline. As a corporate practice and a career specialization, the field is primarily normative. In academia, descriptive approaches are also taken. The range and quantity of business ethical issues reflects the degree to which business is perceived to be at odds with non-economic social values. Historically, interest in business ethics accelerated dramatically during the 1980s and 1990s, both within major corporations and within academia. For example, today most major corporate websites lay emphasis on commitment to promoting non-economic social values under a variety of headings (e.g. ethics codes, social responsibility charters). In some cases, corporations have re-branded their core values in the light of business ethical considerations (e.g. BP’s “beyond petroleum” environmental tilt). Subject to compliance with the law, build up a fair, safe and stable competitive industry and consistently create economic value through best professional operation for State, shareholders, employees, clients and the general public. Historically, business organizations were created as economic entities designed to provide goods and services to societal members. The profit motive was established as the primary incentive for entrepreneurship. Before it was anything else, the business organization was the basic economic unit in our society. As such, its principal role was to produce goods and services that consumers needed and wanted and to make an acceptable profit in the process. At some point the idea of the profit motive got transformed into a notion of maximum profits, and this has been an enduring value ever since. All other business responsibilities are predicated upon the economic responsibility of the firm, because without it the others become moot considerations. Actively protect the public interest of consumers, employees and the community as guided by the corporate vision; advocate charitable responsibility, actively participate in public welfare activities, cultivate social harmony and promote social development. Social responsibility is an ethical or ideological theory that business should not function amorally but instead should contribute to the welfare of their communities and an entity whether it is a government, corporation, organization or individual has a big responsibility to society at large. This responsibility can be “negative”, meaning there is exemption from blame or liability, or it can be “positive,” meaning there is a responsibility to act beneficently (proactive stance). Support State industrial policies and environmental protection policies, conserve energy, protect and improve the natural ecological environment and support sustainable development of the society. When you start looking all about environmental responsibility ethics you open up a whole debate about how businesses can learn to be more environmentally aware and responsible. Many businesses are starting to realize that they have to do more to help the environment and cut down on the ways in which they affect the planet. Society has not only sanctioned business to operate according to the profit motive; at the same time business is expected to comply with the laws and regulations promulgated by federal, state, and local governments as the ground rules under which business must operate. As a partial fulfillment of the “social contract” between business and society, firms are expected to pursue their economic missions within the framework of the law. Legal responsibilities reflect a view of “codified ethics” in the sense that they embody basic notions of fair operations as established by our lawmakers. They are depicted as the next layer on the pyramid to portray their historical development, but they are appropriately seen as coexisting wit economic responsibilities as fundamental precepts of the free enterprise system. Although economic and legal responsibilities embody ethical norms about fairness and justice, ethical responsibilities embrace those activities and practices that are expected or prohibited by societal members even though they are not codified into law. Ethical responsibilities embody those standards, norms, or expectations that reflect a concern for what consumers, employees, shareholders, and the community regard as fair, just, or in keeping with the respect or protection of stakeholders’ moral rights. In one sense, changing ethics or values precede the establishment of law because they become the driving force behind the very creation of laws or regulations. For example, the environmental, civil rights, and consumer movements reflected basic alterations in societal values and thus may be seen as ethical bellwethers foreshadowing and resulting in the later legislation. Philanthropy encompasses those corporate actions that are in response to society’s expectation that businesses be good corporate citizens. This includes actively engaging in acts or programs to promote human welfare or goodwill. Examples of philanthropy include business contributions of financial resources or executive time, such as contributions to the arts, education, or the community. A loaned-executive program that provides leadership for a community’s United Way campaign is one illustration of philanthropy. In line with its business philosophy ‘Empowering People’, Axiata (Bangladesh) Limited is always committed towards society and aspires to be a powerful agent of change in the communities in which it operates. To enrich people’s lives, Axiata (Bangladesh) Limited focuses on Education, ICT, Health, Environment and Culture & Heritage with various types of programmes across the country. Among all the programmes, English in Schools (EIS) and GPA 5 celebration received huge response countrywide. To help students learn English, EIS is reaching 0.7 million students and 10,000 teachers of 1,000 secondary level schools. Renewing its CSR philosophy, Axiata (Bangladesh) Limited is widening its core CSR area in 2010. In line with Government’s ‘Digital Bangladesh Vision 2021’, Axiata (Bangladesh) Limited will be working towards ICT development across the country especially in the colleges and libraries. With special focus on women, Axiata (Bangladesh) Limited is emphasizing on women health and women entrepreneurship. To empower the underprivileged women of the society, Axiata (Bangladesh) Limited has embarked on various types of long term projects. Among these initiatives, we have been conducting vocational programs to enhance women’s skills and encourage home based businesses. Considering the importance of ‘Healthy women for healthy nation’, Axiata (Bangladesh) Limited has stood beside the underprivileged women of the society through providing monthly free health service `Shustho Nari, Shustho Paribar’ (Healthy Woman, Healthy Family) for the underprivileged women across the country. Axiata (Bangladesh) Limited is always committed to the society. In fact, 2005 & 2006 were a year of exploration into Corporate Social Responsibility (CSR) for Axiata (Bangladesh) Limited. To actively identify and start establishing Axiata (Bangladesh) Limited as a concerned entity devoted to the development of many social interests throughout greater Bangladesh based on four core values. These are enlightened through education, Assure better health, Protect environment and Fight with poverty. In recognition of its CSR effort, Axiata (Bangladesh) Limited is the first among all mobile phone operators to win prestigious “Standard Chartered-Financial Express Corporate Social Responsibility Award-2006”. Committed to applying high standards of corporate governance across the organization and adhering to the rules and regulations established by Bangladesh Government. Aim to build AXB into a company that makes one feel proud and is enjoyable to work in and thus be an employer of choice. Committed to using its financial, technological and human capabilities to drive social, economic and environmental change in the nations in line with Bangladesh Govt. as well as group initiative. AxB continuously adopts the ways to promote green activities and reduce the activities that creates negative impacts on our ecological footprint. Axiata (Bangladesh) Limited believes education platform remains the main focus to develop a nation. To ensure an early jump into technology and intellectual transfer, Axiata (Bangladesh) Limited has established a tradition of providing scholarships every year to three promising individuals to complete their higher studies in Multimedia University in Cyberjaya, Malaysia. To provide a world-class teaching and learning resources for Bangladeshi professionals Axiata (Bangladesh) Limited joined hand with Chittagong Skills Development Centre (CSDC), Underprivileged Children’s Educational Programs (UCEP-Bangladesh), etc. Axiata (Bangladesh) Limited also aims to identify and supports indeed those in need of basic infrastructure to practice the fundamentals of Islam. This contribution goes in building orphanages and renovations of mosques all across the Bangladesh. To improve living condition of distressed people; Axiata (Bangladesh) Limited has always been providing support to them. As a shared concern with the society at large, Axiata (Bangladesh) Limited also focused towards the roaming street children found throughout Bangladesh. Not only will Axiata (Bangladesh) Limited continue its thrust towards identifying & involving itself with more avenues for CSR activities, we encourage the fellow enterprise of Bangladesh to participate in such activities on a regular basis. By becoming more aware of living & social community, Axiata (Bangladesh) Limited can certainly see so many areas to be involved in. Only through concerted efforts of the private sector, there will be emerged a socially responsible collective consciousness. Thus based on the criteria’s in the funnel & above reasons and as we are technology based company, our second priority should be to contribute to the ICT sector Focus: ICT for Public Libraries as it helps mass and ICT for women’s dev since women’s ICT literacy rate is very poor. While English literacy rate in India: 60% and in Pakistan: 20%; Poor foundation and lack of effective educational tool has created English phobia, thus acts as a barrier for increasing technological knowledge. Thus a basic necessity and primary step for the development of ICT and health. Statistics is: only about 24% of women who died did not receive any medical treatment, and only about 48% received treatment from a registered physician, a hospital, or a clinic before death. Unique Culture & Heritage is the pride of Bangladeshi people. But due to lack of proper attention and leaving uncared, many of our proud elements/evidences of our culture & ancient heritage are being depleted gradually. 88% of people are villagers. Despite the trends of urbanization and globalization, the underlying culture, in both urban and rural communities is folk oriented. To save the unique elements of our own/folk culture as well as Heritage, we need to take immediate care. Based on our research our competitor GP has already embarked on “restoration of heritage sites”. Music is an area that has been touched by all operators. Regional based music has also been touched by our competitor BL. However preserving lyrics has not been touched by any of our competitors. Focus: Development of rural artisans (handicrafts & Terracotta. To imbibe the new generation with the true spirit of nationalism, Robi, a leading mobile phone operator in the country has taken a worthy initiative. It organized a CSR programme at different divisional areas under the banner Konthe O Tulite Bangladesh”. The theme of the programme is to enlighten students with the correct tune and lyrics of national anthem and at the same time to teach them how to draw country’s map correctly. A panel of judges drawn in from renowned singers and teachers of different universities made the selection of the winners. Six contestants were awarded for their best performance in different categories. The program was organized in cooperation with the Shishu AcademyIt may be mentioned that the programme Konthey O Tulitey Bangladesh was first held at the Jatiyo Shishu Academy in Dhaka on 31st March. It will be held at different places of the country in phases. “Konthe O Tulite Bangladesh” contest was a part of Robi’s year long CSR activity. This event shaped a delighted environment in Shishu Academy complex Rangpur. All participants were given certificates by Robi. Robi, a leading mobile phone operator in the country stood beside the underprivileged women of Bangladesh with its year long health camp “Shustho Nari, Shustho Poribar”. In collaboration with Marie Stopes, Robi provides free medical treatment; consultancy and free medicine among the women. About 600 women and children use to attend this day-long camp or a single health camp. ‘Shustho Nari, Shustho Poribar’ is a part of Robi’s year long CSR activity. The program has already been taken place in Dhaka, Rangpur, Barisal and Chittagong. It was stated by high officials of Robi that the company has a definite plan to carry out this initiative throughout the country. All patients who came for treatment got enlisted and were given health cards to enjoy discount at Marie Stopes clinics for their treatment. To enlighten the college students with the knowledge of information technology Robi, leading mobile operator in the country has taken initiative to set up computer corners at deserving but underprivileged colleges across the country. Under this program, each college get 4 computers with structural setting at free of cost. As part of this CSR initiative Robi has already distributed computers to many colleges throughout the country. This initiative by Robi has created a huge impact among the colleges. In the selection criteria merit has been given top priority by Robi. Gradually all the deserving colleges will be brought under this program. This program has already created a positive response among the enlisted colleges. As a part of its social commitment, Robi has always been beside the people of Bangladesh to enhance their living and livelihood. In line with this, Robi has this time extended its support towards the visually impaired people of the society. To facilitate the blind students with educational support, Robi has joined hands with HEAD international (Human Programme for Education and Achievement of Disable and Orphan), a social welfare organization working for the development of the disabled people. Under this initiative, Robi has distributed White Cane and Braille papers to two hundred visually impaired people. Officials of Robi handed over the White Cane & Braille papers to them. Axiata (Bangladesh) Limited has donated sewing machines to a number of underprivileged women in cooperation with Ain o Salish Kendra (ASK), a legal aids and human rights organization that has been working for providing legal and other support services to the deprived citizens of the society. The sewing machines were distributed among the individuals as well as the trainees in Dhaka and Mymensingh. Axiata (Bangladesh) Limited is working on “Empowering People” and as a small effort to empower the underprivileged women of our society; it is trying to make them self-dependent. Since women play the most vital role in building nation, helping them for their own livelihood would increase the possibility of a better future for all. As part of its CSR program, a leading mobile phone operator Robi, in collaboration with Bangladesh Red Crescent Society organized blood donation camps in the city recently. The camps were held on the occasion of World Red Crescent day. Theme of this year’s event is ‘Donate Blood, Save Life’. The camps were held at Holy Family Hospital, Dhaka University Campus (Bot tola) & Sonali Bank, Principal Branch, Motijheel. Each of these day-long blood camps received excellent cooperation from Dhaka University, Red Crescent Hospital and Sonali Bank. People along the students have actively participated with great enthusiasm. All those who donated blood were awarded with souvenirs from Robi along with a Donor Card from Bangladesh Red Crescent Society. The idea is to establish Robi Internet Corner in Public libraries round the country especially in district headquarters. Robi will provide 4 Desktop computers in each library with internet connections in them which will be used for Computer Education & Internet Browsing. This CSR program will prove Robi’s keen interest to spread IT education to the underprivileged community.This CSR program will prove Robi’s keen interest to spread IT education to the underprivileged community. To provide Computer Knowledge to the community, Robi will donate 2 computers to each public library in 64 districts. That will facilitate local community to be familiar with computer & internet. This is just a milestone in the long journey forwards building a 21- century skilled young generation and reduce gap between rural and urban areas. The primary objective of this engagement is computer literacy; however the broader vision is to equip the rural community with learning that will aid in securing a better future for them. Working in semi-rural areas can also be a cherished dream; as is ensuring that the Robi join hands in making a difference to the community. With the vision ‘Learn English and Think Global’, AxB has started EIS, a language learning program in partnership with The Daily Star to promote English language learning at secondary schools across the country. The ground of this huge project lies on the extremely low English literacy rate. According to a recent Daily Star report, ‘Bangladesh enjoys a literacy rate of 48% whereas English literacy is assumed to be not more than 1%’. This statistic becomes more acute in comparison with 60% and 20% respectively in India and Pakistan. Besides, poor performance in English is also one of the major reasons behind a huge number of ‘drop out’ from schools in Bangladesh. Other than the above facts, as per ITU 2007 report, internet penetration in Bangladesh is only 0.4%, whereas the same is 5.3% and 7.3% respectively in India and Pakistan. English literacy and ICT development share a common link as English is considered the lingua-franca for ICT. This made us feel that to be an active part of Bangladesh Government’s ‘Digital Bangladesh Campaign’; a focused eff ort must be placed on English literacy and thus born the English in Schools. To make the root strong, our particular focus is on the school students as a starting point. Under this 3 years (initially) long project, 1,000 secondary level schools are being covered. In the first phase, all these schools are being delivered 3 copies of The Daily Star for 5 days every week free of cost along with a supplementary ‘EIS Content Page’ as English learning tool both for the students and the teachers. The upcoming phases of EIS are mostly concentrated on the enhancing English skill through various programmes. EIS aims to build a better future for the young students helping them ‘Learn English and Think Global’. I have done a questionnaire survey of 50 people. My target segment was general people from Dhaka and Rajshahi and the CSR expertise as well. The main reason behind my questionnaire survey was to get a real picture of people’s awareness level regarding the CSR activities of Robi. For this study area cluster sampling have used. This is a special form of cluster sampling in which the sample items are clustered on a demographical basis. The main areas in where I did my sutvey most are Banani, Dhanmondi, Hajaribagh and Rajshahi bus station. from the Health Camp programs. the needs of the people. The technique here is to first select a sample of demographic areas, then studying the particular universe units associated with the selected sample of geographic areas. In my total population there are 26 are male and 24 are female. Among them 12 persons are in between the age 20-25, 18 are in between 26-30, 11 persons are in the age 31-35 and 9 persons are in between the age 36-50. In that survey, I found that most of the respondents are businessman and there are few people who are also involved in the private and public sectors as well. The first question was about the awareness level of the corporate social responsibility activities of Robi. In where we can see that around 10% of respondents who are 5 in numbers said that they are very well informed about the CSR initiatives taken by Robi. 46% respondents said that they are informed and 24% of responded are in the neutral condition. Around 7 people said they are not informed regarding the CSR initiative of Robi. Therefore 6% of the respondents strongly disagree with the above mentioned statement. In that case we can assume that people are moderate agree regarding the CSR initiatives taken by Robi. The question was about the health camp program which seems to create huge amount of word of mouth among the Bangladeshi people. In here we can see that 8% respondents strongly agreed with the statement and 38% of respondent are moderately agree. Around 32% of respondents choose the neutral options. On the other hand, 16% of respondents disagreed with this statement and 6% of respondents which are 3 in number strongly disagree. Though there is low number of media coverage but it is proved that people are aware regarding the CSR activities. Q.3: I feel that the People receive sufficient facilities from the Health Camp programs. Although this question was mostly related with the service receiver from the Robi Helath Camp however, anyone who is informed regarding the health camp initiative can also answer this question. In this question, 30% of respondents gave the tick mark on the neutral option cause they may yet to receive any service from the Robi health camp. 42% of respondents which are 21 in number are agreed with that statement. 8% of respondents are disagreeing and also strongly disagree respectively with the above mentioned questions. Though the health facilities which are provided by the Robi are primary services but we can say that the quality of service is quite good. This question is to measure the awareness level of the Computer Corner activities of Robi across the country. In this questions, around 14% of respondents said they are strongly aware about the initiatives and 48% of respondents which are 24 in number also agree with the statement. 28% of respondents are neutral for this question. 6% of the respondents said they are disagree with the statement regarding computer corner initiative and 4% of respondents who are 2 in number are also put their tick on the strongly disagree options. So from this question, we can summarize that people are moderately conscious about the Computer corner project of Robi. As Bangladesh is still in the under developed nations so by providing computer can help to enhance the quality of ICT education of the Children. In that question, we can see that 50% of the respondents strongly agree with the above mentioned statements which are 25 in numbers. 22% of people are neutral of that issue. 4% of responded are also disagree and strongly disagree respectively with the aforementioned topic. Another motivating thing in that graph 10 people which is around 20% of the total population is agree with the questions. The question was about the awareness level of the Children painting and Singing competition “Konthe O Tulite bangladesh”. In this graph 30% of respondents who are 15 in number are neutral and disagree respectively. Moreover, only one person said that he/she is strongly agreed with that issue. 24% of respondents said they are reasonably aware of the program. However, 14% of the respondents are strongly disagreeing with above mentioned questions. The purpose of this question was to know in depth thought and opinion of the respondents about the “Konthe O Tulite” program which is trying to create patriotism feeling among the children. 34% of the respondents said that they are in the neutral condition regarding this issue whereas 28% of respondents are agreed with the questions. 22% of the respondents are disagreed with the statement and 8% of the respondents which are 4 people are strongly disagreed. From that graph, we can conclude that as they have not sufficient amount of in depth knowledge regarding that issue so they are reluctant to go for any particular options. Through this question, I want to know the perception of the people regarding the “Konthe O Tulite Bangladesh” program. Because I think this program certainly help to create awareness regarding the national anthem and the national map as well. In this question we can see that around 24 persons which are the 48% of the total respondents put the tick in the favor of Agree options. 34% of the respondents said they are quite neutral in this statement. 14% respondents are strongly agreed with that statement and none of the respondents are strongly disagreed. However, there are only 4% of respondents which are 2 in numbers are disagreed with the questions. This question is for the measuring the level of publicity and visibility of the CSR activities of Robi. In this graph, we can see that 30% of respondents are disagree with the above mentioned statement and 28% of the respondents which are 14 people are neutral in this issue. 20% of the people said that Robi is doing sufficient amount of CSR activities. Only 12% people are strongly agreed for this statement. Another significant observation from that graph is that 10% respondents said they are disagreed with the above mentioned statement. In this graph, we can observe that most of the people which are 38% of the total population agreed on the public relation strategy of Robi. 32% don’t have anything to say about this statement. 9 people are in against of this statement which is 18%. 5 people of the total population which are 10% said that they are strongly disagreed with that statement. That means CSR activities are not well communicated. In this question, I tried to find out the location where Robi should focus more to expand its CSR activities. In here the majority which is around 38% does not have any specific opinion because they might little knowledge about the CSR initiative of Robi.. 20% people strongly disagree with the statement. 18% respondents are agreed and disagree respectively also for that question. Only 6% said it’s not Dhaka based anymore. Q.12: The CSR activities are always designed keeping the needs of the people. Through this question, I tried to know that whether the CSR plan is designed to keep the needs of the people or not. The majority which is 44% said yes it is designed to keep the need of the general people and 36% ticked the neutral options. 10% respondents which are 5 in numbers said that the CSR strategy of Robi is not designed for the mass people. Only 4% which are 2 in number said they are strongly disagreed with the aforementioned statement. Moreover, 6% of the total population also moderately disagreed with the statement. Q.13: What would be your suggestions towards Robi CSR activities to make it visible? From this question, I tried to figure out some constructive suggestion to make more visible of the CSR activities of Robi among the general people. We can observed that majority of the respondents which are around 66% gave the tick mark on the all of the above option. That means they want to make a proper combination of all media vehicles. 16% of the respondents which are 8 in numbers said TV program and extensive media coverage might help increase the visibility of Robi’s corporate social activities.12% respondents said strong word of mouth also helpful to carte a strong buzz among the general people. The once limited numbers of cell phone uses have rose nearly to fifty million within a very short span of time and the operators were expecting even faster growth of subscribers raising corporate social responsibility activities to draw the sympathy of the potential customers, but suddenly as education and ICT sectors is more or less dependent on the decision of government so there is not promptly decision regarding CSR campaign. Red tapism in the government offices such as public library regarding the decision of Internet corner. Rigorous competition among the operators might create hassle to implement some CSR activities. Poor activation agency than the main competitor, GrameenPhone. If the budget for a program is more than 10,000,00 lacs then the procedure takes long time as the decision will be come from the CEO. The parent company, Axiata and NTT DOCOMO, is well-established and experienced global player operating with several subsidiaries in the global telecommunication industry. Providing cellular services through very competent and skilled human resources comprised of over 1600 employees with a worth mentioning reputation and goodwill in line with the Vision, Mission and Theme of Robi. Low visibility of different CSR and other promotional activities. Customer care facilities are low compared to other operators. Yet to plan for the culture and heritage. Advertisements are not lucrative compared to other operators. Efficient and effective media coverage through CSR activities. Technological development making the people of the country more advance like the developed country in the world. Making the communication facilities easier. Paying highest tax making the country more developed. Robi’s target market is becoming widen so that mass people can be benefited by the CSR activities. Poor press release and media briefing. Imposition of Govt. restriction on different service. Today, ROBI is the third largest mobile operator in the country with about 8-million customer base. But the market growth for their services tends to be low in the recent times. Their growth being somewhat lower than GP’s market growth is not enough to place them in the Star situation of Boston Box. So, it is the high time for ROBI authority to think on new marketing strategies for increasing the growth. At first the new idea can face the low market share problem but later on it should be able to take huge portion of the market by having high growth. The telecom industry in Bangladesh is now at its growth stage with demand increasing at 20% every year. It will be another 5-7 years before the industry reaches the maturity stage. As we have shown in the following graph, it is apparent that the telecommunication industry in Bangladesh is in the growth phase of the market as a whole. The statement is justified after analyzing the characteristics of the product life cycle, marketing objective & strategies the companies are setting up to. The sales in the mobile industry are rapidly increasing. The cost is average per customer. Profits are marginally increasing. Customers are more or less early adopters. They are aware of the services that have been offered to them more precisely. The competitors are growing in number. The common marketing objective of all the companies is to maximize their market share. On the market strategies segment the product strategy is on the offer product extensions and on-service orientation. More and more offers of value added service and added features are included in the package. The pricing strategy is to penetrate the market. So they are all more or less following the penetration pricing strategy. In distribution strategy the industry is the building on intensive distribution. More and more emphasis is given on gaining the market. So distributing the product to the far corners of the country has become a priority. In case of advertising & promotional strategy the companies are all in aggressive advertising policy. Using all the possible forms of media to increase the market share & reaching potential customers in mass market. Lastly in sales promotion the companies are on a rampage. They are offering enormous amount of services with the same package & low cost rate with different events all round the year. (1) Imbue vision statement with CSR philosophy. (2) Write a CSR strategy and appoint internal CSR Task and Finish Force to execute it. (3) Integrate CSR into core business operations such as public relations. (4) Integrate CSR into performance review procedure. (5) Undertake internal and external review of CSR. (6) Promote CSR activities via your external and internal website. (7) Prepare a CSR report before the end of June and submit to the parent company. Corporate bonding is a very important tool to develop warm relationship with the stakeholder. From the result of the survey it is found that many of the existing subscribers of Robi are not even fully aware with the current CSR activities. There are some areas where general people do not get any sort of CSR facilities such as Barguna, Chittagong hill tracks, Shunamgonj etc and rural areas of our country. So the top level management of the company should concentrate on these issues so that they can reach that certain areas. Robi technical department also has to be more conscious to ensure best quality network in the country, as customer satisfaction is their ultimate goal. The Corporate Affairs and activation authorities should emphasize more on the responsiveness because any new and unique plan might be copied by the competitors. As we already know in a very competitive market you have to be quick mover. This alarming initiative even can increase the switching rate of the subscribers of Robi. Therefore, all the employees working in this area should provide prompt responses to any problem of the service receiver and take the necessary steps properly and nicely. Assurance need to be given some extra care because in telecommunication service, competition is very destructive. So in order to ensure better CSR execution, Robi has to launch some innovative and new CSR plan. It is not possible for the entire department to physically visit for the respective program so in that case CSR agency should be very effective and efficient as well. But in some case it is observed that some of the programs might not get the proper media coverage because of the late initiative of the agency. Some respondents claimed that they rarely noticed any news of the Robi CSR activities. Robi should review the performance of the agency quarterly basis so that agency ensures the accountability. Robi has very few number of Health Camp initiative taken so far. Right now only 4 Health Camp held all over the Bangladesh is serving the people which is not good enough. As a result people have to wait for a long time, get late response from the other stakeholders. So Robi should increase the number of health camp to increase the visibility. To increase the awareness level of the general people, Robi should participate in some promotional activities through this program. In the current market, consumers have the perception that the other operators are providing extra facilities compared to Robi. Therefore, to make it visible or to build it for the long term, Robi has to provide different types of consumer promotions such as- they can offer free dental checkup and employed the society, they can arrange concerts, study tour, different TV programs. Robi can also start plantation program to fulfill their social responsibility this also a promotional strategy. Currently where the other operators are focusing on these types of promotional activities Robi is doing almost nothing in that case to increase or to hold their market share. Therefore, it can be recommended that, Robi should deeply focus on the social responsible tools to survive in this competitive industry. It is a high time for Robi to start aggressive marketing strategy through huge advertisements & promotions to make aware and retain the existing customer and build new customer base. Robi provides different kind of VAS, which increases the satisfaction level of customers. But other companies are also giving these services. So Robi should update this service by providing new value added service, like Fire service, Police control room, RAB control room, Engineering service provided institution, Timetable of bus, train, airplanes, health line and agro service. Telemarketing is a very new concept. But Robi took the risk to introduce it in our country. But people feel hesitate to talk over phone with strangers. So it should be promoted in an evocative manner with proper planning then definitely this new concept would be appreciated by the audience. This sort of marketing might help to increase the awareness level of the CSR activities of Robi. To ensure the complete mobility solution with mobile phone service, Robi needs to focus on improving its overall CSR service quality. For this, the company has to invest more in all sectors of development to ensure better quality service for its subscribers. By hiring more skilled people, and providing training to its existing employees, Robi can ensure an excellent employee base, which will be eligible to provide best service to its valued subscribers. Right now Robi has more than 7 million customers. So it is important for Robi to satisfy and retain this entire customer base as well as the general people. To stay ahead and to grab the market share in such competitive market, Robi authority should understand the general people needs and wants and provide facilities to them according to their demands. The company’s approach to performance evaluation includes setting goals and objectives for each year. Employees are encouraged to include citizenship objectives in their goals to help ‘bake’ them into the performance assessment process. From whatever group within the organization that would be appropriate to perform the research, information on developments in communities around the world and on focuses and measures that others are using is helpful. Tools to help the company tell the world about its CSR objectives and accomplishments are important. Like all things in business, communication to outsiders should follow substantive actions taken for compelling reasons. Doing something simply to enhance external communications will not be authentic and, thus, will be less likely to succeed. Remember—“what gets measured is what gets done.” Krane describes this as the hardest part of implementing CSR – to decide what the company will measure. She shares that this will be different for every company and that the challenge is to identify a set of metrics that everyone can agree to. Business leaders must feel that this is something they are collectively doing, not something being done to them. Social responsibility is an ethical or ideological theory that an entity whether it is a government, corporation, organization or individual has a responsibility to society. This responsibility can be “negative”, meaning there is a responsibility to refrain from acting (resistance stance) or it can be “positive,” meaning there is a responsibility to act (proactive stance).There is a large inequality in the means and roles of different entities to fulfill their claimed responsibility. Even though Robi are taking serious efforts for the sustained development, some critics still are questioning the concept of CSR. Based on my research, I come up with the conclusion that in comparison to other mobile operators, Robi has moderately good CSR awareness level and superior visibility among the general people. If Robi can move away the obstacles and bindings which I mentioned in my report Robi can reach the root level of the whole Bangladesh. There are people who claim that Corporate Social Responsibility underlies some hidden motives while others consider it as a myth. Is CSR really a stalking horse for an anti-corporate agenda? The reality is that CSR is not a tactic for brand building. Indulging into activities that help society in one way or the other only adds to the goodwill of a company. Rural people can become a viable market for the corporate with a developmental approach of social marketing. Organizations can launch social responsibility initiatives in order to build brands in the rural areas. The social responsibility initiatives are far more effective in building brands in rural market than the commercial advertisements. This study has attempted to describe the awareness level of the Corporate Social Responsibility activities of Robi. Major parts of the respondents are quite conscious about the CSR activities of Robi. As Bangladesh is still in the developing country, People are facing different sorts of basic needs problem. This is might be a good gap in terms of CSR mileage. General people don’t have enough choice. So if Robi cannot create positive image among the general people then they will lose its existing and potential customer as well as the market share. The mission of Robi is to provide total customer satisfaction and help to make a digital Bangladesh. It is high time for Robi to satisfy and retain its existing customers. So the top management has to redefine their existing strategies regarding Corporate Social Responsibility and apply the new strategy properly. If the number of CSR service receiver will increase then it will not only increase the company’s revenue but also it can become the market leader within a very short period of time. Charles W.L. Hill, Gareth R. Jones; Strategic Management, Sixth edition. K. Malhotra, Naresh; Marketing Research: An applied orientation; 7th edition, 2007; Pearson Education. Fiber-Optic Telecommunication & Better ICT in Bangladesh, Shabbir A. Bashar, Bengal Telecommunication & Electric Corp. (Pvt.) Ltd – BETELCO, E-mail: shabbir-bashar@betelco.com. Friedman, Milton (1970-09-13). “The Social Responsibility of Business is to Increase its Profits”. The New York Times Magazine. http://www.colorado.edu/studentgroups/libertarians/issues/friedman- soc-resp-business.html. Retrieved 2008-03-07. Paluszek, John (April 6–7, 2005). “Ethics and Brand Value: Strategic Differentiation” (PowerPoint). Business and Organizational Ethics Partnership Meeting. Markkula Center for Applied Ethics, Santa Clara University.http://www.scu.edu/ethics/practicing/focusareas/business/ethics-and-brand-value.ppt. Retrieved 2008-03-07.